The 12-year-old female inventor of Zollipops®, the good-for-your-teeth lollipop, is changing minds and candy eating patters in advance of Halloween this year. The seventh grader saw her candy company surge to #1 on Amazon as the top seller of sugar-free hard candy. Experts might suggest only a kid could make sugar-free a top seller during the busiest candy buying month. New data released by IRI Worldwide reports that over 80% of the candy category growth is from outside of the four largest manufactures (Mars, Mondelez, Grupo Bimbo and Nestle), and instead is coming from small and midsize companies like that of Morse’s*. The reasoning shows that the category is starting to evolve, following the gum/mints category which is dominated by sugar-free, functional products. Morse’s Zolli Candy is on the forefront of a category providing growth for retailers, and healthier options for consumers. While Morse’s products are dominating the category on Amazon, she is also making waves in brick-and-mortar. This Halloween, she partnered with Kroger®, America’s largest food retail chain, as part of the retailer’s Halloween candy popup display for the month of October. Kroger is selling her 25ct special limited edition Halloween-branded Zollipops product, while making her the youngest person to ever have a product on their store shelves. Zollipops are a natural, gluten and GMO-free lollipop, containing xylitol, stevia and erythritol (healthy sugar alternatives). By helping raise the pH (a scale used to measure acidic or base qualities) in the mouth, Zollipops neutralize acid and help reduce the risk of tooth decay, dental caries and future development of cavities. In addition to Zollipops, Morse introduced Zolli Drops in 2016 and Zaffi Taffy in Mid 2017, both with the same teeth-cleaning and guilt-free ingredients of her signature product. 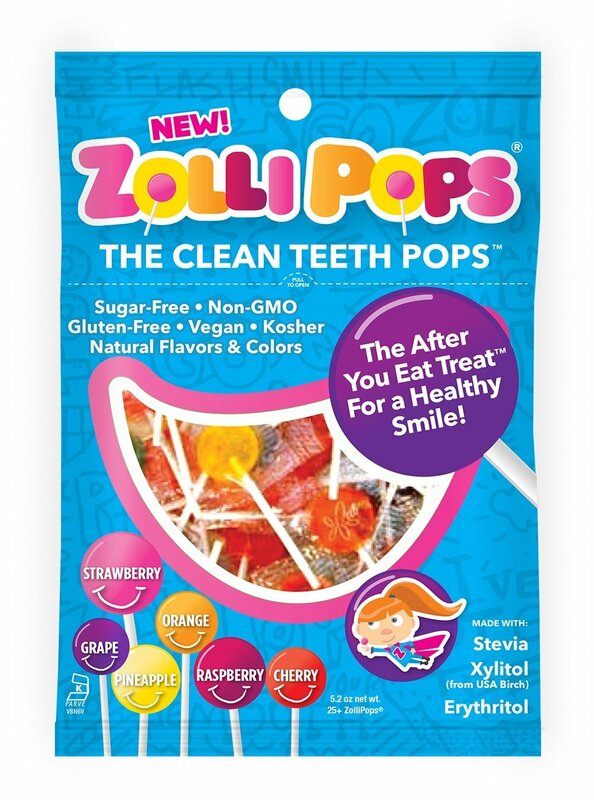 Zollipops donate 10 percent of profits to fund an increase in oral health education in schools, as well as contributes her suckers to schools and dentists who promote oral health education through their “250,000 Smiles Initiative.